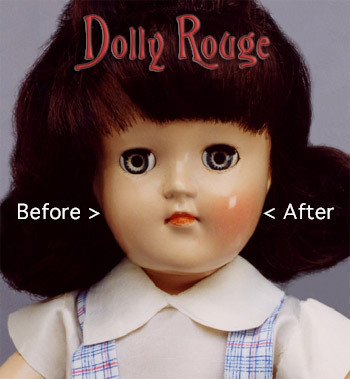 Are your dollies pale and colorless? 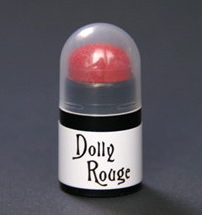 If so, give them a "rosy glow" with Dolly Rouge! We, at SLP have developed a new product containing a "special pigment" capable of putting the color back into your dolls cheeks. Works on: Bisque, Composition, Hard Plastic, Rubber and VinylThis product is very easy to use and when applied properly, looks completely natural.